WANT TO SCHEDULE A PRIVATE CONSULTATION or APPOINTMENT? January-June 2019: Available for bodywork appointments on the Big Island of Hawaii only. PHONE CONSULTATIONS AVAILABLE WORLDWIDE. Consultation Appointments every Monday, Thursday and Sundays from 7:00 am-8:30 am HST. 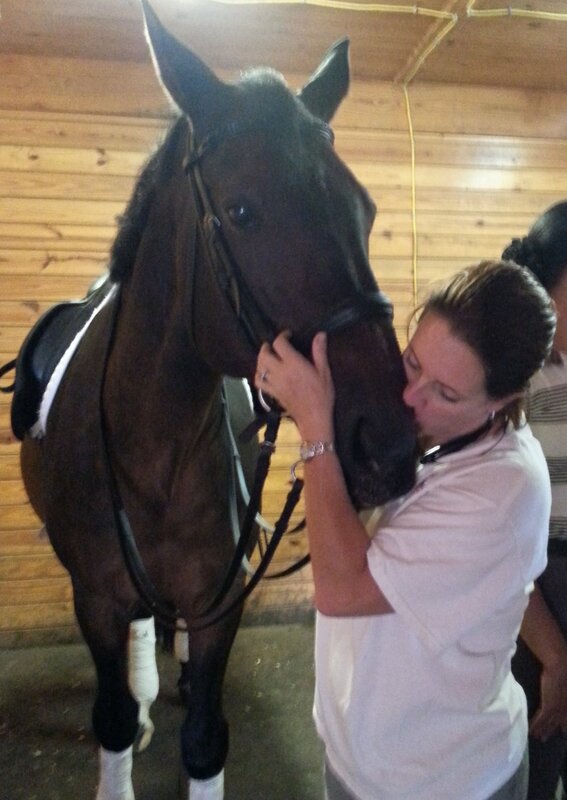 April has worked nationwide since 2008 with nationwide with top judges, trainers and riders, and specializes in working with competitive performance horses in dressage, eventing, hunter-jumper . Because of her teaching schedule with Equi-Librium Institute and her current graduate studies in pursuit of a doctorate in acupuncture and Oriental Medicine (for people! ), she is no longer accepting new bodywork clients outside of Hawaii, but is available for phone consultation to help people with frustrating equine issues that are often related to body imbalance.